Opera Touch browser for Android launched, iOS version coming soon. Opera has today launched Opera Touch, a brand new mobile browser designed to be used on the move with just one hand. 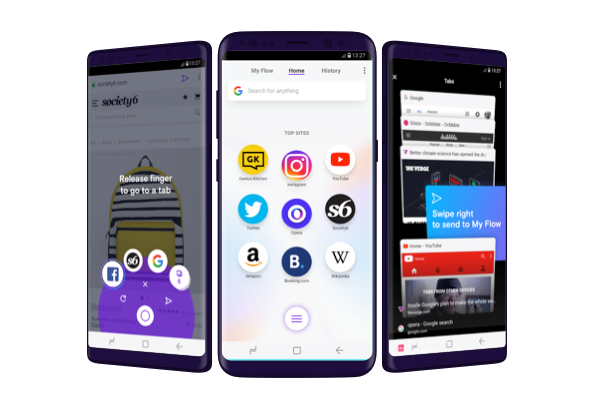 Opera Touch also makes the mobile and desktop web browsing experiences into one with a feature named Flow. Opera Touch is a free app available for Android on Google Play and will be coming to iOS soon. To make full use of the Flow feature, download the latest Opera browser to your Windows, Mac or Linux PC.